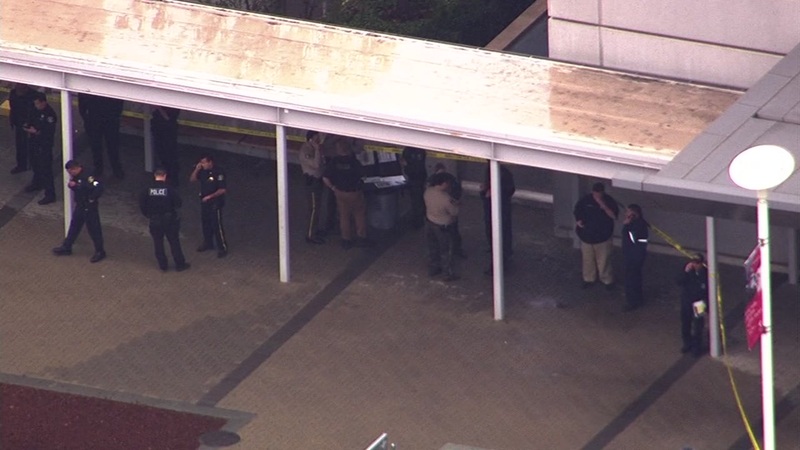 SAN JOSE, Calif. -- San Jose police said no threat was found at the Santa Clara Valley Medical Center after someone reported seeing an armed person at the hospital, which prompted a shelter-in-place order this afternoon. Hospital officials received a report of someone with a gun at one of the buildings on the campus between 1 p.m. and 1:30 p.m., hospital spokeswoman Joy Alexiou said. The person was apparently carrying the gun somewhere on their body but it was not aimed at anyone, Alexiou said. Alexiou added that it was not an active shooter situation. Santa Clara County sheriff's deputies are searching through the building and determining if the report is accurate, Alexiou said. No injuries were reported and the hospital is not under lockdown, she said. No further details were immediately available Thursday afternoon.